I record a lot of people here in the Y-105FM studio. And the other day, I recorded a mom and daughter team for the Boys and Girls Club's Chili Challenge. They were great, and Mia, the daughter, was a BIG fan of "mic checks"!All of Townsquare Media, Rochester, loves working with and in the community. Almost all of us serve on non-profit boards, committees, volunteer for a ton of events, and, of course, talk about 'em on the air. Part of that includes recording PSA's (public service announcements). PSA's are the free air time we give to non-profits to help promote their events and fundraisers. I like to think of our community as a big boat, and we all have to work together to keep it afloat and moving forward. So, it wasn't unusual for a mother / daughter team to come in and promote something. In this case, the Chili Challenge, but it was unusual to have the most perfect 'mic check girl' ever. Thus, the video. 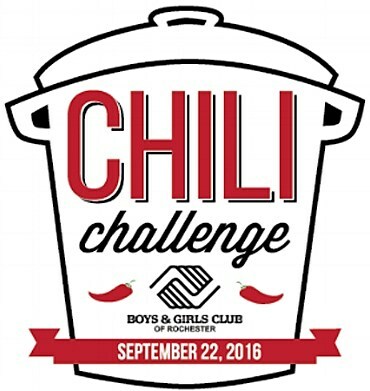 Chili Challenge is an event to generate community and financial support for Boys & Girls Club of Rochester. We expect to have 3,000+ attendees sampling chilies from over 25 participants. Participants will include local businesses, restaurants, and other community representatives. The event will offer family activities, live music, decorated booths, and a variety of chilies and other foods to enjoy. After much success in 2015, we are thrilled to bring back the Homebrew Competition. More than 20 local beer enthusiasts will offer samples of their home-brewed beer for tasting, side-by-side with Rochester’s professional brewing companies.